Applications Petrochemical Plants, Power Plants, Municipal, Hydrocarbons, Pipeline, Refineries, Offshore Technology, Gas Processing Plants. 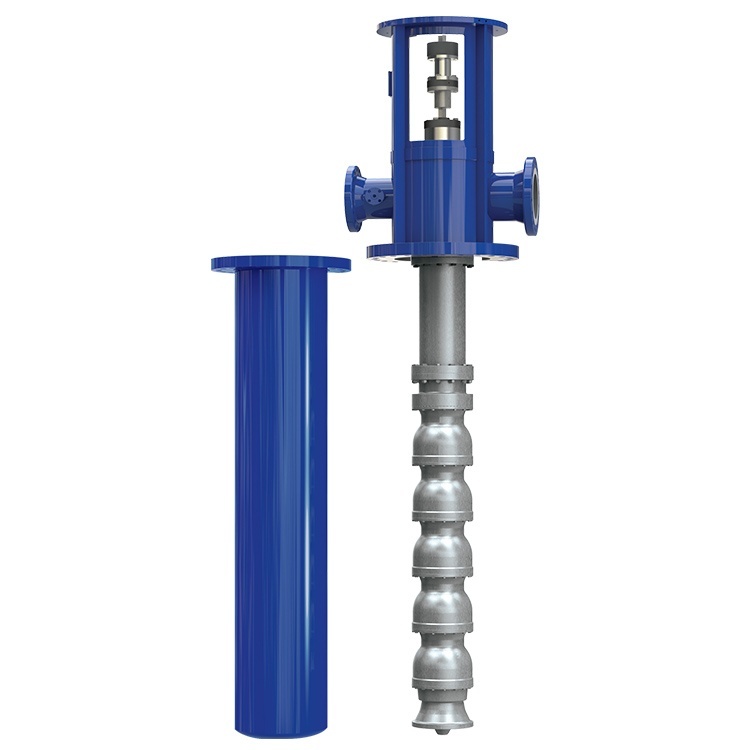 The VLT is a vertical process pump of the “double casing” type as defined by API-610. By multi-staging series stages in the low and medium specific speed design range,the VLT provides outstanding efficiencies and low cost operation in high head applications. The special first stage allows operation with extremely low NPSH requirements while running at optimum speeds. Exclusive hydraulic and mechanical features provide continuing reliability with optimum performance.